Yellows, lavenders and creams... The colors of Spring. 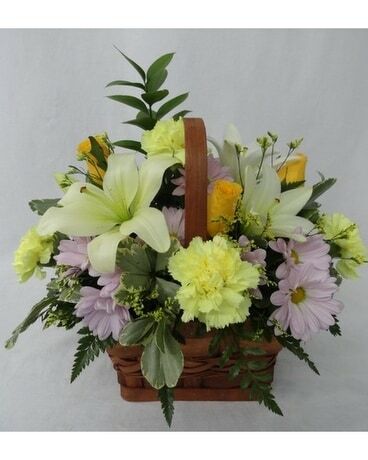 Featuring white lilies, yellow carnations and lavender daisies.